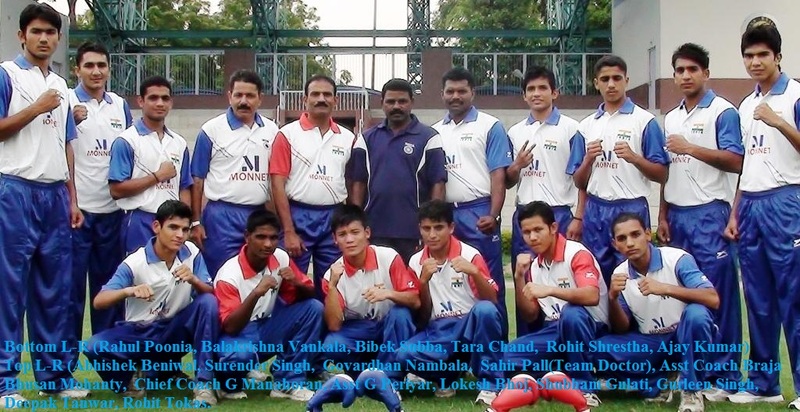 A 15 member Indian Youth boxing team will leave the capital on Saturday to take part in the Cuban Youth Olympics. The tournament to be held from the 18th to the 30th July, 2011 in Havana, will witness some of the best boxing nations vying for top honours. Though, more than the medals, participating teams would be looking to gain valuable experience out of this tournament. The tournament will serve as a tune up to the Youth Commonwealth, which is scheduled to be held in September this year. A minimum of 20 teams are expected to take part in the event. For the selected boxers who would be representing India at the event, it is a perfect opportunity to get more match practice under their belt, especially with the Youth Commonwealth Games around the corner. Moreover the event will also provide an ideal platform for the young Indian Colts to excel and make a name in the international arena. “It is a new team with only a few members having had previous experience of competition abroad and that too very limited, therefore the event will be perfect to prep them mentally for the mega events that will follow; the experience gained here will add value to their repertoire and enhance the confidence of our boys”, says coach in charge G Manoharan. Talking about India’s chances at the tournament, he added, “Although the competition will be tough, we are hopeful of a good showing – A lot depends on the draw as well”. Govardhan Nambala (56kg) who bagged a gold medal at Junior International boxing tournament in Turkey is keenly looking forwarded to the event, hoping to build on his experience. “I am excited about this competition; a good performance here will help me get selected for the upcoming events, like the Youth Asian and World Championships”.